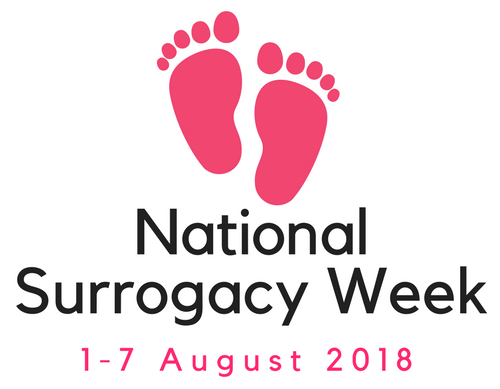 We are proud to announce the first National Surrogacy Week Awards 2018. Our experience shows us that professionals who understand and give value to surrogacy dramatically improve the surrogacy experience that those going through it have. Is there a fertility nurse or surrogacy coordinator who has supported your journey, given you over and above assistance and advice? Do you want to recognise a professional who has been someone you can rely on to help your surrogacy journey be positive? Nominations can be for any professional working within a UK fertility clinic – a fertility nurse, surrogacy coordinator, doctor or an administrator. Write a few words about how their professional practice has had an impact on your surrogacy journey. Is there a fertility clinic that has made your surrogacy journey easier? Have they been transparent, clear and helpful? Has their treatment of you and your team been second to none? Nominations can be for any UK fertility clinic. Write a few words about what makes them stand out as a great surrogacy fertility clinic. Did your midwife make you all feel a part of the pregnancy? Did your hospital trust go over an above to make you all feel welcome at the hospital? Nominations can be for any midwife, doctor, consultant or hospital trust in the UK. Write a few words about how they improved your surrogacy journey. Did your counsellor have a great understanding of surrogacy? Did your legal advice help you to have a stress free journey? Did your CAFCASS officer help to make your parental order process straightforward? Nominations can be for any professional working within the UK and can be a legal representative, CAFCASS officer, fertility counsellor or any other profession associated with surrogacy. Write a few words about how their professional practice has had an impact on your surrogacy journey. Has someone supported your journey who you would like to see recognised? Has someone gone over and above to listen to you, and give advice? Nominations can be for any kind of supporter – an official support worker, a friend or a partner. Write a few words about the impact they have made on your journey. Has someone dedicated their time and energy to raise awareness of surrogacy? Nominations can be for anyone who has helped to raise awareness of surrogacy. It could be a birth photographer, a legal campaigner, a local MP or a blogger. Write a few words to describe how they have helped to raise awareness. All nominations will be looked at by an independent group across the world of surrogacy, and winners chosen by way of a vote.